It’s finally here! Primani fans have demanded a story about Mica and Killian’s little miracles Rafe, Michael, and Cian. This fun Primani Series novella takes place in the time period between "Broken Souls" and "Darkness Calling." Mommy says the only good demon is a dead demon. The big, bad world’s a scary place when you’re only five years old. If you’re a typical little boy, that is. When Cian, heir to his father’s powerful ancestral magic and future bringer of the apocalypse, gets lost, he isn’t scared. He’s having the adventure of his life! Killian has a huge problem. After finally convincing overprotective mama Mica to let him take the triplets out for survival training, he loses one. Fueled by visions of his young son in the brutal hands of a horde of demons, he tears Hell apart. His frantic search turns up nothing and the clock is ticking. Can he find Cian before his mother gets home? Mica’s girls’ weekend in Manhattan is an epic disaster. After more drama than one woman—even an immortal one—should have to endure, she only wants to pick up her daughter and get home before anything else happens. Urban Fantasy Romance filled with humor, some sexual situations, and intense action sequences. 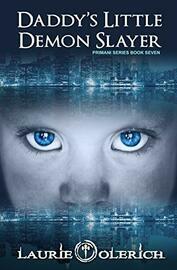 Series Description: Primani are soldiers with supernatural abilities granted by an archangel. They police demon activity that threatens humankind. Before becoming Primani, all were superior warriors (Celts, Huns, Vikings, etc.) with unique psychic abilities. The series follows them as they cross lines, fall in love, and butcher demons to save the world. Living by a loose code of morals, they’re more mercenaries than angels, prone to violence, vengeance, and in the end, sometimes, heartbreakingly pure love. The first three books follow Mica’s transformation from human to immortal after she becomes entangled in the Primani world. Each subsequent book focuses on the unique story of each Primani as they battle both Hell and their own inner demons. Often dark, funny, full of twists, and steamy passion, the Primani series crosses the lines of paranormal romance, metaphysical fantasy, and occult suspense. 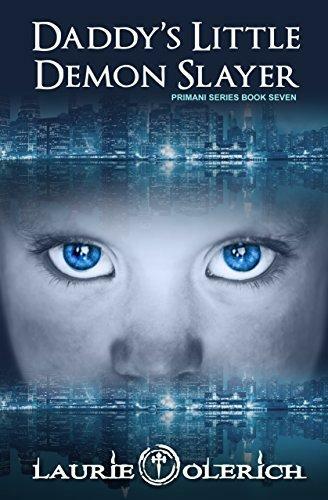 Note: Primani (Primani Series Book One) is a free series starter for the summer!